A rendering of a new office building under construction at 210 N. Carpenter. 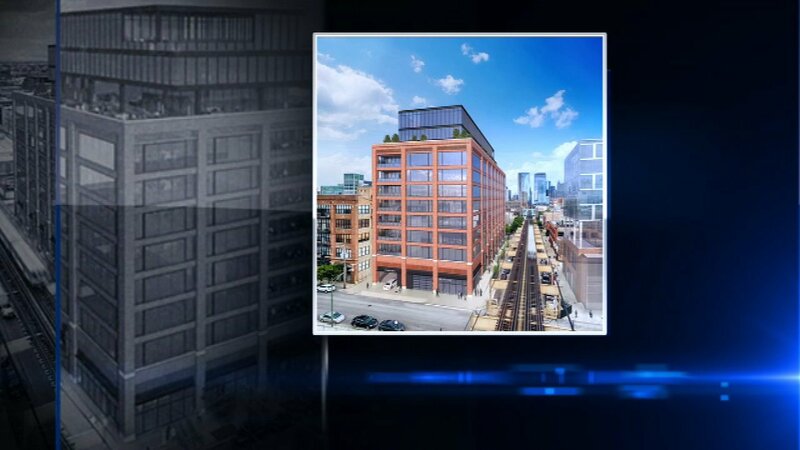 CHICAGO (WLS) -- Mayor Rahm Emanuel, 27th Ward Alderman Walter Burnett and officials from Sterling Bay broke ground Friday on a new office building in the West Loop that will house vendors and affiliates of McDonald's. The new 12 story, 224,354 square foot building is at 210 North Carpenter Street, which is about a block north of the new McDonald's Headquarters that is currently under construction. "This development is a direct reflection of the confidence businesses have in the future we are building in the city of Chicago," Mayor Emanuel said. "Not only will this project bring nearly 1,000 jobs to Fulton Market, it will also contribute nearly $2 million to support projects and create economic opportunities in Chicago's neighborhoods." The office is expected to house 960 employees when it's completed in 2018 and fully leased. The cost of the building is 47.2 million and developers Sterling Bay will also contribute approximately $2 million to the neighborhood opportunity fund, the mayor's office said. The building will not be owned or directly supported by McDonald's.